My current obsession is hazelnut. 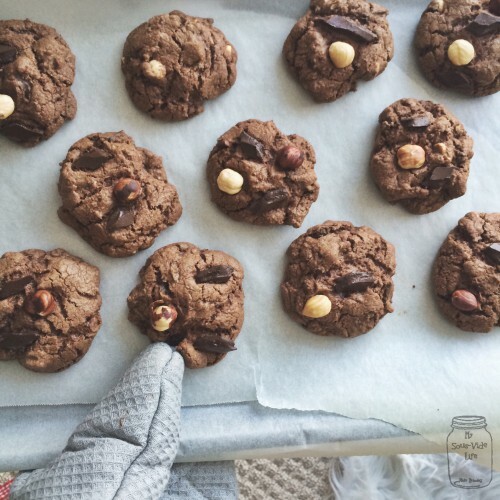 I sprinkle them on top of ice-cream, I eat them with toast and Nutella, I like them with some creamy ricotta, and now I love them in my double chocolate cookies! This recipe has been slightly modified from the tried and tested Chocolate Chocolate Chip Cookie from Allrecipes.com. Preheat oven to 350 degrees F (175 degrees C). Line a cookie sheet with baking paper. In large bowl, beat butter, sugar, eggs, and vanilla until light and fluffy. Combine the flour, cocoa, baking soda, and salt; stir into the butter mixture until well blended. 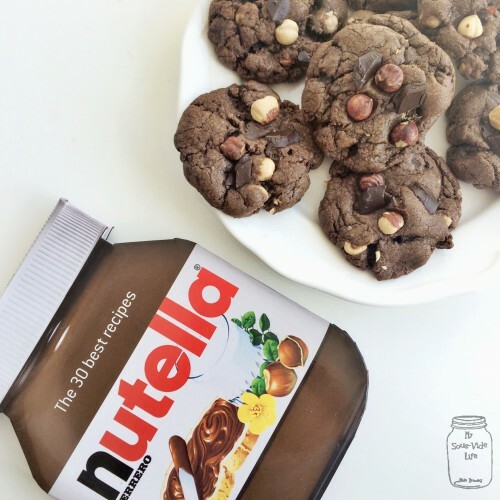 Mix in the chocolate chunks and hazelnuts. 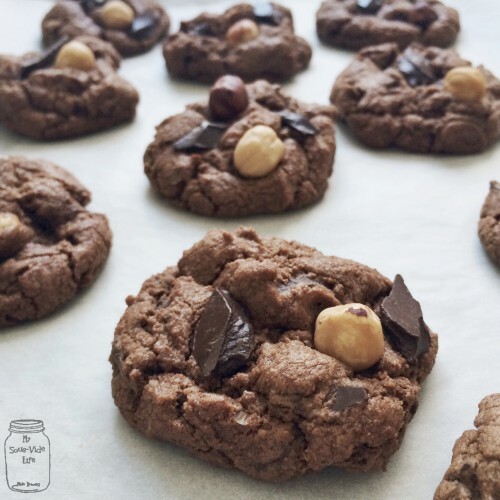 Drop by rounded tablespoonfuls onto lined cookie sheets. Bake for 10-12 minutes in the preheated oven, or just until the outside is set. Cool slightly on the cookie sheets before transferring to wire racks to cool completely since they well harden a little bit. If you touch them straight away, they would not hold their shapes.